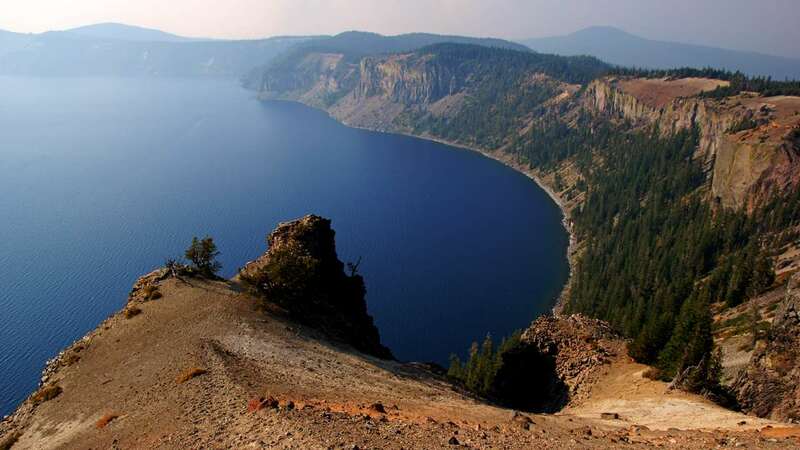 It’s a rare treat to drive the entire circle around Crater Lake — the road is only open for a few months out of the year. This drive takes you around the entire loop, and lets you see the view from most of the best viewpoints. You may notice the views are somewhat hazy. My visit in August, 2015, happened while a large wildfire was burning near the park’s north entrance. Sunny days are usually more clear than this!